A Little Amp for use witth the USB Audio Device for example. Output Power is about 2x20W (RMS). 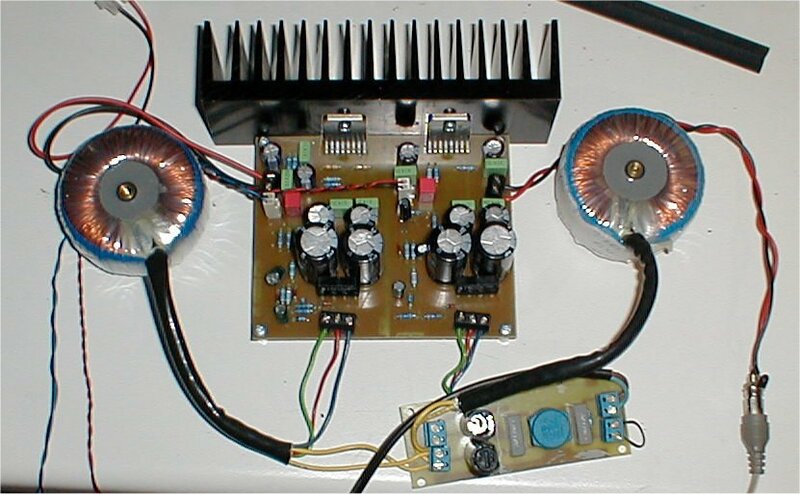 The Power Supply uses a torroid transformer (2x20V / 1A rectified) and 2x 5700µF , per channel each. The Amplifier is the TDA 7296 (smaller Version of TDA7293). If used in proper environment , it sounds not bad !